What is most interesting about this advice are not the recommended tactics, but how they illuminate the failings of so many automated recruiting algorithms. Recruiters spend only 6 seconds reviewing each resume they receive (if they read it at all). And those are just the resumes that make it to a human for review. First, resumes must pass the filtering algorithms of an applicant tracking system (ATS). 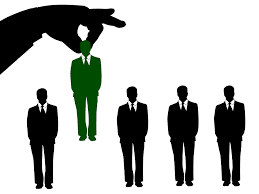 The machine rejects 75% of job applicants before a hiring manager ever looks at them. If the name of the ATS is visible, do a quick search to see if there is any information to help adjust your resume to better suit the system you are applying to. Be sure your resume matches as many aspects of the job description as possible.Use the exact phrases and keywords that were used in the job posting. Most organizations who deal with high-volume recruitment rely on an applicant tracking system to sort through the CVs of the hundreds and even thousands of applications they may receive for one job posting. Think of the ATS as a portal where each applicant has their own profile that includes their contact information, education, skills, credentials, and other pertinent info entered when applying. Hiring managers can enter a command in the ATS to find candidates that have the skill-sets, background and other critical elements required for success with a particular position that should be considered for the next step. The machine is sorting through all the information rather than the recruiter and rejecting 75 percent of job applicants before a hiring manager ever looks at them. Something as simple as using a different tense or phrase could eliminate your CV from the review. For example, if you wrote, "Managed project from design to implementation," and the hiring manager searched for, "project manager," you might not come up in the search results even though you are describing the same responsibility. To try to increase the chances of your resume getting in front of the recruiter or hiring manager, be sure to use the exact phrases and keywords that were used in the job posting. And, don’t try to fool the system. Keywords should be included in your resume very naturally. If you try to cheat the system by stuffing keywords or including “invisible” keywords by changing the text to white, the hiring manager will see through these tactics on the other end of the system (even if you bypassed the algorithm). Even though every ATS system has the same objective—screen applicants to streamline work for humans—they don’t all do it the same way. If the name of the ATS is visible to you as a candidate, do a quick Google search to see if there is any information available to help you adjust your resume to better suit the system you are applying to. For example, if you find out that the system used by the organization you are applying is known to rank resumes with the keyword multiple times, try to include that keyword naturally more than once in your resume. ensure your resume also includes these areas if they pertain to your own experience. Again, honesty is imperative so you shouldn’t include an example of budgeting if that hasn’t been a part of your work experience. However, if you have any sort of experience that you would be comfortable using in an interview to explain why you are the right candidate for this position, align your resume with the job responsibilities. Also, if you had a job title for a previous employer that was creative but could be misunderstood by a bot, such as Director of Getting Things Done, switch it to something more easily understood such as Project Manager.